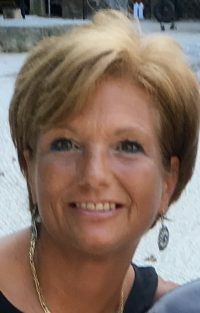 Connie Elizabeth “Liz” Kraft – 54 – of 22 Emily Dr., Corning, NY, formerly of Hornell, died early Wednesday morning (February 6, 2019) as a result of injuries sustained in an automobile accident. Born in Hornell on August 4, 1964, she was the daughter of James & Barbara (Foreman) Kraft. Connie grew up in Hornell and was a graduate of Hornell High School class of 1982. She resided in Florida for a time, returned to the Hornell area and enrolled in St. James School of Nursing where she received her Registered Nurse Diploma, passed the Board, and became a Licensed RN in the State of New York. Moving back to Florida, Connie served as a registered nurse at several hospitals. About 20 years ago, she decided to come back to New York State and had been employed as a registered nurse and dialysis specialist at several hospitals, including Thompson Hospital in Canandaigua, Arnot Ogdon Hospital in Elmira, Corning Hospital and St. James Mercy Hospital. For the past three years she served as a nurse and case manager for CareFirst Hospice where she provided care & comfort to countless patients at the end of their lives. She especially loved her work at CareFirst and was regarded as one of the most caring and compassionate hospice nurses that anyone could ever imagine. It was a true “Calling”. Following the death of her parents, where Connie served as the hospice nurse for her Dad, Connie took on the role of “Family Anchor”, keeping the Kraft family and the extended family together via telephone, email & facebook. Without children of her own, she made special efforts to recognize and connect with nieces & nephews. She loved to travel, and was the ultimate brick-and-mortar and internet shopper. She always made the effort to stay in touch with former co-workers and to maintain the bonds of friendship. Connie is survived by her fiancé, Curtiss Cole; 3 sisters, Patti Kraft of Hornell, Donna Dailey of Buffalo and Kate Kraft of Buffalo; 4 brothers, Tom (Janet) Kraft of Concord, NC, Jim (Michele) Kraft of Endicott, NY, Andy Kraft of Rochester and Rich Kraft of Hornell; several nieces & nephews. She will also be sadly missed by her canine companion, “Cole”. At Connie’s request there will be no calling hours. A private Memorial Service will be held at the convenience of the family. Connie’s family request that in lieu of flowers, memorial contributions in her name be made to CareFirst Hospice, 3805 Meads Creek Road, Painted Post, NY 14870. Will miss your BEAUTIFUL smile and loving heart God needed a nurse in heaven and he chose you RIP DOLL. Palms 34:18,19 says God is clito those brokenhearted and crushed in spirit. May He bind up your broken hearts and sooth your crushed spirit.